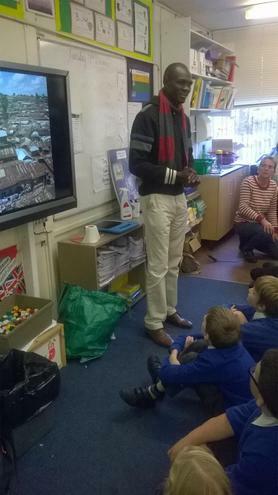 A headteacher of a primary school in Kibera slum in Nairobi visited Y5 and Y6 today to give a talk about where he is from and to share with the children about what life in a Kenyan school is like. The school has a high proportion of single or double orphans, and all the children live in various states of poverty, with the school providing the only meal of the day for many of them. Our children listened really well and asked some great questions afterwards. 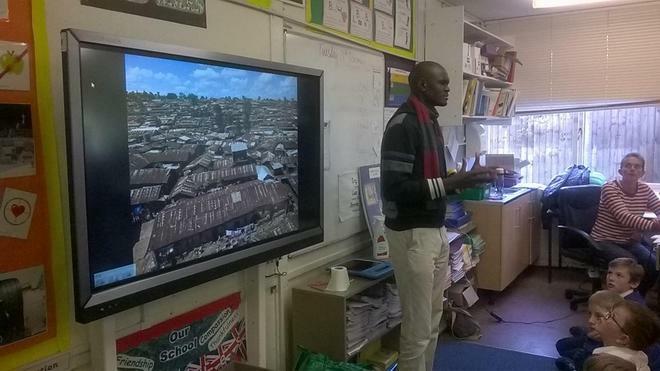 We hope to set up a link with the school in Kibera in the near future.